Lausanne - International Olympic Committee (IOC) president Thomas Bach admitted on Wednesday that he's a fan of breakdancing's dizzy choreography as the street-wise discipline joined climbing, skateboarding and surfing in getting the provisional nod for the 2024 Paris Games. "There's a very authentic expression, you feel the performance and the personalities of the athletes," said the 65-year-old after a meeting of the IOC's executive committee. "I must admit that I admire the movements." The four sports will now be submitted to the IOC's next session in June in the next step for inclusion on the Olympic programme. Climbing, skateboarding and surfing will make their Olympic debut in Tokyo next year where they will be subject to a "programme of monitoring". Breakdancing, which is not on the Tokyo schedule, figured in the Youth Olympics in Buenos Aires last October which is where Bach caught the bug. Bach added at Wednesday's press conference that the inclusion of the four sports will make the Paris Olympics "more gender balanced, more youthful and more urban". They will "offer the opportunity to connect with the young generation". Meanwhile, the IOC also announced Wednesday that a working group will be created to examine possible reforms to the bidding process for future Winter Olympics. "We have decided to set up a working group composed of five people representing the five continents and presided over by Australia's John Coates," said Bach. "We have a momentum with many cities and National Olympic Committees who are thinking of candidatures for the 2032 Olympics. "Times are continuing to change and we have discussed further steps that make the candidature race even more flexible." Although there are a number of nations interested in hosting the 2032 Summer Games, the bidding for the rights to the 2026 winter edition suffered a series of pullouts, notably Sion in Switzerland and Calgary in Canada due to the absence of popular support. Only Stockholm and Milan/Cortina d'Ampezzo are still in the race with the successful host to be named in June. Coates, who presided over the working group appointed for the awarding of the 2024 and 2028 Summer Olympics in Paris and Los Angeles respectively, will be joined by China's Li Lingwei, Lydia Nsekera of Burundi, Slovakia's Danka Bartekova and Gerardo Werthein from Argentina. 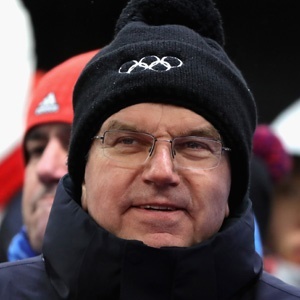 Bach also appealed Wednesday for "severe" sanctions to be imposed against those athletes implicated in the doping scandal which blighted the recent world nordic skiing championships at Seefeld in Austria. Police raids targeted a suspected doping network at the February event, with nine arrests made - including five athletes. Austrian and German police carried out a series of raids in both countries. "We hope that all this will be clarified, that everything will be put on the table and that those responsible, the entourage of these athletes and the doctors will be punished severely and quickly," said Bach. "I hope it will not drag on, that justice will really set an example, that there will be heavy penalties that will act as a deterrent." The IOC was confronted with a vast doping scandal at the Winter Olympics in Sochi in 2014, which led to the suspension of Russia at the 2018 Olympics.